Apple trees average height is 25 to 30 feet. Wood is very heavy, weighing from 43 to 48 pounds per cubic foot with a specific gravity of 0.71. 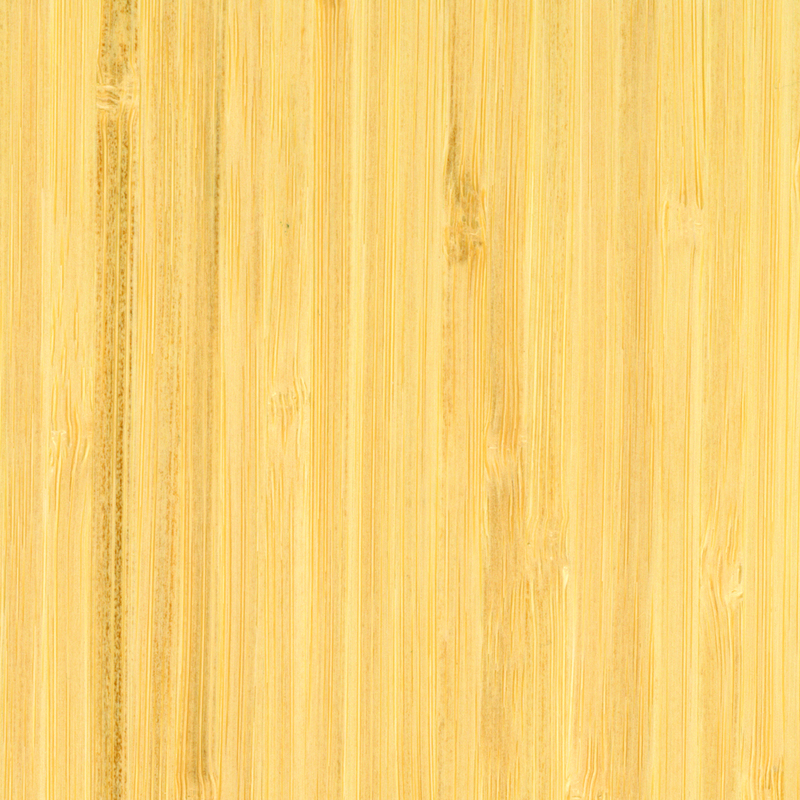 Wood has tendency to check and warp so experts recommend drying in small dimensions. Wood must be dried slowly for best results. Wood can be difficult to work due to twisted material. Wood can be planed to a smooth surface and glues, nails and holds screws well. Apple trees yield one of the most popular of the fruits from the wide range of fruit trees around the world, and the trees are also prized as ornamentals. In the United States, however, apple trees are considered a "minor species." and play a small role as commercial species due to their diminutive size and the fact that the trees usually grow in a twisted manner. Still, apple wood has several good properties and has a place in woodworking. Larry Schmehl, president of Tech-Wood, Inc. of Bethel, PA, is one of the largest distributors of apple in the United States. "I get my supplies from orchard owners who sell the lumber once the trees have lost their value as fruit producers, which typically happens after the tree is 45 to 50 years old. After about 50 years the apple trees are susceptible to rot and are of no use in the orchard." Schmehl says that while selling apple has become a niche for his company, dwindling supplies are a real threat to anyone who sells the wood in the United States. Schmehl worries that the traditional supplies will dry up because many orchards are switching to dwarf apple trees, which have no value for lumber. "Orchard growers are switching to the shorter trees because they give the same yield as the taller trees and workers don't have to use ladders to pick the fruit," said Schmehl. Sizes for apple trees vary widely, but average 25 to 30 feet tall with diameters of 18 to 24 inches. Dwarf trees are generally one-third the height of the taller apple trees with diameters of 4 to 6 inches. Schmehl said supplies are already somewhat limited of apple, which he sells as thin-sliced lumber, 1/16 inch, 1/8 inch, 1/4 inch and 3/8 inch. The price for apple is roughly $2 more a foot than other domestics like cherry, said Schmehl. "Customers are paying for the uniqueness of apple lumber." 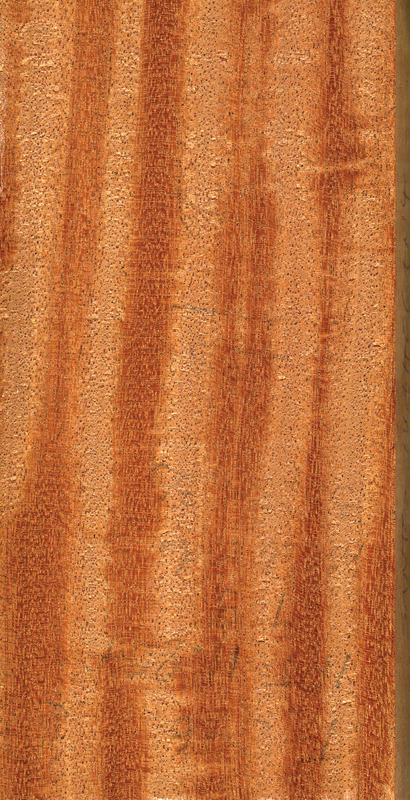 Apple wood ranges in color from yellow to pink to orange. "It usually has an irregular grain, which gives it a very interesting pattern," says Chris Groff, owner of Groff and Groff Lumber Inc. in southeastern Pennsylvania. "Apple trees can have quite a few knots." Groff also gets logs from orchards and sells apple in solid lumber form. Schmehl has a nickname for apple. "I call apple the 'tan cherry' to give people an idea of its look," Schmehl says. "It is more brown in color than cherry wood and a little harder, but the grain is similar." As to the trees that he purchases, Schmehl said it is a mix of various apple trees but that doesn't affect what the wood looks like. Apple trees yield wood that is hard and heavy as well as attractive and can be finished to a beautiful luster. Groff says that apple yields very attractive wood that is similar to cherry to work with. "The Encyclopedia of Wood" says fruitwoods like cherry, apple and pear are "valued generally more for their fruit than for their timber" and so have tended to be "husbanded trees, planted close to villages. Consequently they have been attractive to local craftsman looking for timber to use. The small timber sizes of fruitwoods have made them popular for use also as inlays and for marquetry designs." The book also notes that apple wood was found to "mesh well in timber engineering - millwheels, water wheels and the working parts of windmills were geared with apple teeth set in oak-framed wheels. Wooden screws and golf-club heads are more esoteric uses than the turnery and carving for which the wood is especially suited," say the book's editors. Groff says people buy apple to make furniture and cabinetry, specialty items like trays, tool handles and brush backs. He's milled it for customers and also has paneling and cabinetry made of apple in his business. Schmehl says apple is also used in some flooring. Neither Groff nor Schmehl sell apple in veneer form. It is rare as veneer, but the "Fine Hardwoods Selectorama" says it is sliced "as veneer in some European furniture." Interwood Forest Products Inc.'s "Veneers Handbook" adds that apple has hardly any significance to the veneer industry. "As veneer or slicing wood (apple) is exclusively used in interior architecture" tool and knife handles, cabinet making and turneries." Schmehl and Groff and others who work with apple hope supplies of the tree don't dwindle. "It's a beautiful wood," says Schmehl, "knots and all."